:: OnePageAfrica ::: A different recovery for box carriers? Maritime research firm Drewry believes recovery in the container shipping industry may be based around the formation of new “mega alliances” and the continued reduction of unit costs, rather than the matching of supply and demand at the individual trade route level. “A different recovery is taking shape, which is unlikely to be built on any improvement in freight rates,” said the company in its report Container Annual Review and Forecast 2014/15. Further, full recovery was unlikely to occur until 2016 or 2017. “An orderbook that will see at least 53 and 45 ULCVs delivered in 2015 and 2016 respectively, coupled with the delivery of 100 ships of between 8,000 TEU and 10,000 TEU from the yards at the same time as a similar number of ships being cascaded from the Asia-north Europe trade,” said Drewry. 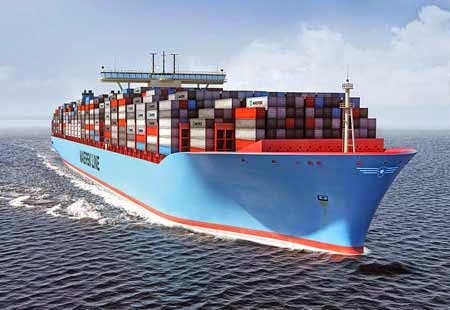 Drewry forecasts that freight rates will decline in 2015 by as much as 3-4% year-on-year, with focus more on costs than revenue a more fruitful endeavour for carriers and shareholders. “Carrier revenue is increasing again (due to more rapid growth), costs are falling faster than rates, and some carriers are coming out of the red,” Drewry said. The formation of the new alliances in the next three-to-six months will hopefully help a number of carriers reduce their cost base further, but Asia to North Europe spot rates have fallen 54 per cent since the beginning of August, concluded Drewry.